Will ‘Keep It In The Ground’ Activists Trash the Potomac River Like They Did in North Dakota? Anti-fossil fuel activists announced this week they will be protesting a planned pipeline in kayaks on the Potomac River in Maryland on Friday. These self-termed “kayaktavists” are part of a group called “Standing Rock to Hancock: Camp Out to Stop the Potomac Pipeline,” born out of the Dakota Access Pipeline (DAPL) protests – protests which notably contaminated the site with mounds of garbage – begging the question: Will these activists trash the Potomac as they did Standing Rock? Cause for concern over the upcoming protest is not unwarranted, considering the resulting damage from previous “kayaktivist” protests. 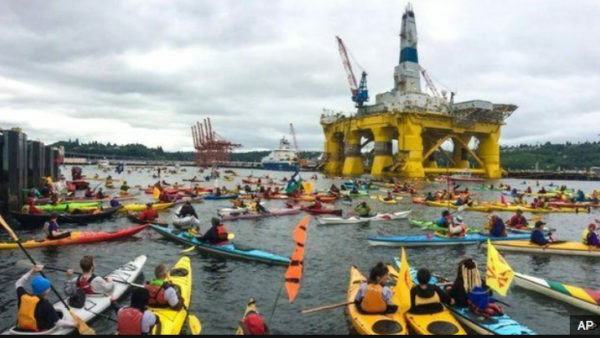 In 2015, over 100 activists in kayaks took to the waters off the coast of Seattle attempting to block an offshore oil rig being shipped from the area to Alaska’s northern coast. Supported by environmentalist groups such as the Sierra Club, the protesters claimed to be fighting for water protection. Their actions however, were in complete contradiction to this effort. Ironically, causing environmental damage and leaving others to foot the bill is not uncommon for these large environmentalist protests. 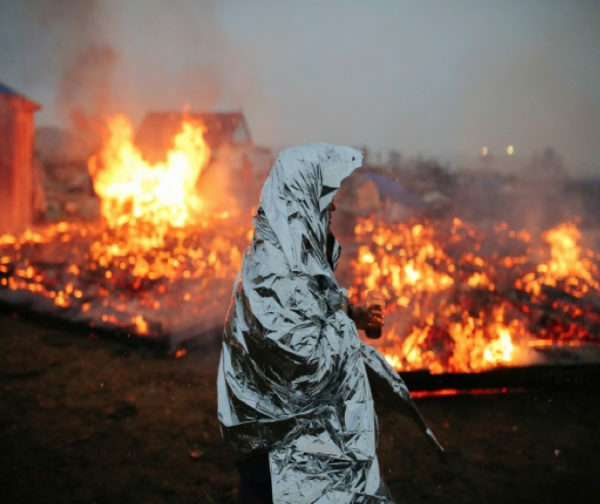 Capping off a 10-month occupation in Standing Rock, N.D., activists protesting DAPL set fire to tents and other structures, as well as the entrance to the campsite, leaving state and federal agencies to clean up the flaming debris. According to records from the sheriff’s office in Morton County, N.D., the protests and associated illegal activities cost local and state taxpayers $38.2 million for public safety. In addition to this, several local farmers and ranchers reported $15,000-$20,000 in crop losses and injured or killed livestock each, totaling $8 million in damage. Further, the protestors left an estimated 48,000,000 pounds of garbage, along with abandoned pets and even a corpse, resulting in untold environmental damage to the area. But even after leaving such an unconscionable amount of damage in their wake, some of these protestors brag about their actions. For example, two activists in Iowa this week held a news conference detailing their efforts to sabotage the Dakota Access Pipeline. After researching how to damage the steel pipe used on the project, the activists used oxyacetylene cutting torches to damage pipeline valves, delaying the project’s completion for weeks. While the results of Friday’s planned protest in Maryland are yet to be seen, we can only hope that the activists spend less time focused on the imagined risks associated with the Potomac pipeline and more time on how the effect their actions are having on taxpayers and the local environment.